Love, Christin | A Lifestyle Momprenuer Blog: $20 Off EVERY $100+ Spent at Target.com! Monday ONLY! 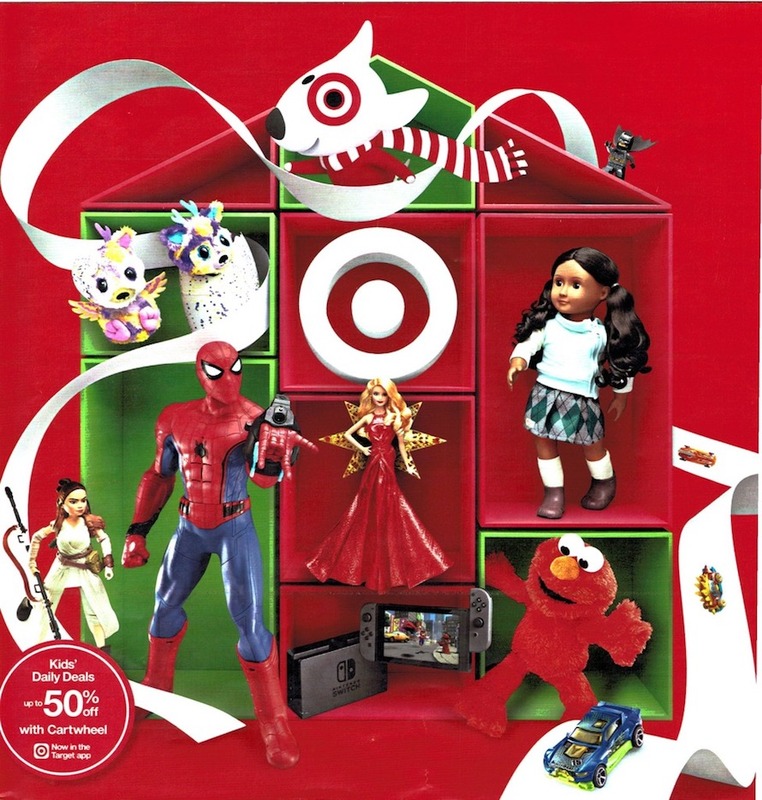 $20 Off EVERY $100+ Spent at Target.com! Monday ONLY! 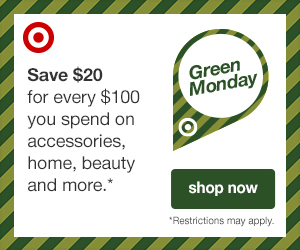 On Monday, December 11th, as a part of their Green Monday Sales, Target.com will be offering $20 Off EVERY $100+ Spent – NO promo code needed! This is HOT and rare promotion, so be sure to mark your calendars! Be sure to take advantage of it to snag an item that has yet to go on sale throughout this holiday season! I am not sure of the exclusions this offer may have, but can’t wait to find out on December 11th! This should be able to be used on top of any sales on items! I know I'll be checking out that new game station for Christmas!